Celebrate your family with this fun-fest of five family stories from Sesame Street! First, Abby’s family has dinner at Elmo’s house, where Abby learns that different families can have fun working together to make a meal. Then, Cookie Monster realizes he’s forgotten a gift for his mommy for Mother’s Day what should he do? For Father’s Day, Rosita wants to make a video for her dad, but she needs some help from her friends. Next we meet Rudy, Abby’s new stepbrother! And finally, Hooper’s Store is throwing a special party for kids and their grandparents. KIDS FIRST! Film Critic Katherine S. comments, “Each episode has an abundance of vibrant energy and many great lessons for families. This DVD is a great place to learn about the importance of family.” Nancy F. adds, “! It is absolutely amazing to watch with its focus on positive messages that teach kids about family values. It also shares terrific lessons about kindness and many other uplifting messages.” Ella L. wraps it up with, “Even as a teenager, I felt the happiness that radiates through the screen. This movie is musical, creative, filled with positive messages and very importantly, is representative of real life relationships.” See their full reviews below. I absolutely love each episode of Sesame Street: Celebrate Family, because the characters are so colorful and cute. 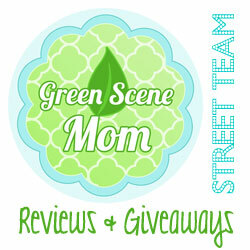 Each episode has an abundance of vibrant energy and many great lessons for families. This DVD is a great place to learn about the importance of family. Sesame Street: Celebrate Family has five parts covering different topics with all of the different Sesame Street characters. The stories include Abby and her stepfamily visiting Elmo for a fun “father/kids’ night” learning about the different things families do together. We get to see the challenges that Cookie Monster has trying to make something for his mom on Mother’s Day. He just likes to gobble everything up because it reminds him of cookies (surprise!). For Father’s Day, Rosita makes something special for her dad since he’s away from home. We also get to see a grandparent’s party and learn about different grandparents such as Baby Bear’s grandpa. The main characters are, of course, Elmo, Abby, Rudy (Abby’s step brother) and Rosita. The puppeteers are fabulous with all their actions and different voices. The songs are so stinking cute, catchy and easy to follow along with. My favorite part is when Cookie Monster eats the locket he planned to give to his mom because the picture reminded him of how they eat cookies together. You probably guessed that my favorite character is Cookie Monster. If so, you guessed right. There are several positive messages throughout the DVD. My favorite is that family is so very important, and you should take time to celebrate with them. Family is important no matter what you do or how different yours is. These episodes also touch on ways to have self-control, acknowledge your differences and give love to your family and friends. They also show that it is okay to be nervous about meeting new people, and that you can still celebrate even if your special person isn’t there. Each episode makes me want to celebrate family even more. Sesame Street: Celebrate Family is very kid friendly. 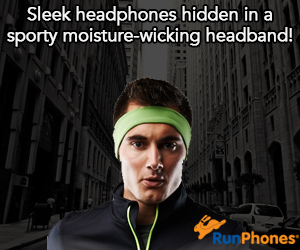 It promotes positive social behavior and treating one another appropriately. There is no bad language and nothing risky or dangerous that children might imitate. I give this DVD 5 out of 5 stars and recommend it for ages 2 through 11. Adults will also enjoy this show. This DVD is available now, so look for it. I recommend it. The DVD Sesame Street: Celebrate Family is incredibly adorable! It is absolutely amazing to watch with its focus on positive messages that teach kids about family values. It also shares terrific lessons about kindness and many other uplifting messages. What I really love and appreciate is how each character highlights a different point of view that all relate back to friendship and family. This film is filled with catchy music, comedy, valuable lessons, and features funny and adorable characters. The DVD is centered on five family stories from Sesame Street! The first adventure is about Abby and her families’ dinner with Elmo’s family. She discovers that not all families are the same; each has their own way of doing things. The second story involves Cookie Monster and Mother’s Day. He is great at creating gifts, but always ends up devouring them. He finally is able to restrain himself from eating the cookies he gives his mom as a gift for Mother’s Day. The next story is about Father’s Day and how Rosita wants to make a special video for her father. In order to complete the video she needs help from her friends. Then there’s a story about Abby and her new stepbrother Rudy! The last adventure shows happiness through a special celebration held for grandparents at Hopper’s store. The characters we see here include Elmo (Kevin Clash), Abby (Leslie Cadabby), Rudy, Rosita, Cookie Monster (David Rudman), Oscar (Caroll Spinney), Slimy, Prairie Dawn (Fran Brill), Elmo’s Father (Bill Barretta) and Abby’s Father. I love all the messages that are taught in the different episodes. Each gives cute and warm fuzzy feelings as it focuses and draws attention to the importance of family relationships, family support and having family right by your side. My favorite moment on this DVD is when Elmo Face Times his grandparents. It is a simple gesture and form of communication, but their reaction of joy and happiness is priceless. It teaches us an important lesson that, even if distance separates us from family, there is always a way to keep in touch, especially in the world of modern technology. I rate this DVD 5 out of 5 stars and recommend it for ages 3 to 11 and adults as well. This DVD is so adorable, with meaningful lessons and teachable moments. I’m sure that anyone that watches it will truly enjoy it! It is available now so look for it! 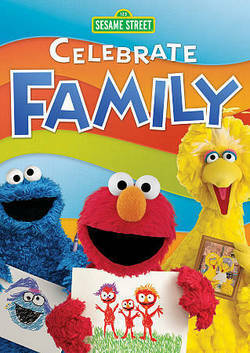 Sesame Street: Celebrate Family is a fun and entertaining DVD that both kids and parents will be able to enjoy. Even as a teenager, I felt the happiness that radiates through the screen. This movie is musical, creative, filled with positive messages and very importantly, is representative of real life relationships. I assume that the purpose of this show is to entertain children, while teaching them about the variety of families that exist. Sesame Street: Celebrate Family follows Elmo and all his friends as they navigate through different relationships and figure out what the word family really means. Throughout the series, topics such as siblings, step-siblings, parents and grandparents are discussed. Different songs about different members of one’s family showcase the love and admiration Elmo and his friends feel towards their family. The film is very well written, with loads of content and humor that kids will absorb and enjoy thoroughly. The cheerfulness of Elmo and the Sesame Street community ought to make your kids want to laugh, play and sing along with them. Their positivity is absolutely contagious. The aspect of the show that stands most are the positive messages. Elmo even says that “families come in all different shapes and sizes.” I am impressed by the progressive way that families are depicted in this show. All the families are different; none are a cookie-cutter mother-father-kid experience. Elmo and his friends also teach kids to love their families and treat their parents with love and respect. This DVD shows that family isn’t necessarily what you are born into. It’s the connections, relationships and bonds that you build with the people around you, regardless of age, color or any other hereditary aspect. Family is thicker than blood and that message is well portrayed here. I give this DVD 5 out of 5 stars and recommend it for ages 2 to 10, as well as adults. This is an awesome show that helps kids develop their own personal values and character. Sesame Street: Celebrate Family does indeed celebrate families. The DVD is available now so, look for it! This delightful DVD carries the Sesame Street legacy of learning and fun, mixed with new characters, updated theme song elements and scenery. The various segments included here celebrate family, including Mother’s and Father’s Day and introduces one of the main character’s new stepbrother. The storylines have meaning and there is nothing threatening about them. One can rely on Sesame Street for great live action cinematography, great characters and thoughtful stories. I always enjoy the uniqueness of the Muppet costumes along with the Sesame Street set. The characters bright colors stand out and help hold the attention of younger viewers. As to the characters in this show, I like seeing the older characters along with some new ones. We see Oscar, Elmo, and Abby meeting and learning about new human fraternal twin siblings. Another favorite part for me is the segments where they sing about different types of families. In one segment, the human twin siblings argue over music until they find common ground with jazz. That’s fun! Sesame Street excels at presenting humor in their sketches, effectively making kids and older viewers laugh along. I enjoy that this DVD celebrates all different aspects of family. It is geared primarily for young children and they will benefit by learning about sibling rivalry and other aspects of family that may be unfamiliar to them. There are no unsavory aspects to this show. Sesame Street has a long-standing reputation, since 1969 of creating conscientious programming for preschoolers and this DVD is reliably thoughtful, educational and fun. The DVD is 140 minutes in length and can easily be enjoyed by watching it in segments. I truly enjoyed it and give it 4.5 out of 5 stars. I recommend it for ages 2 to 5, as well as adults. It is available now on DVD, so look for it. 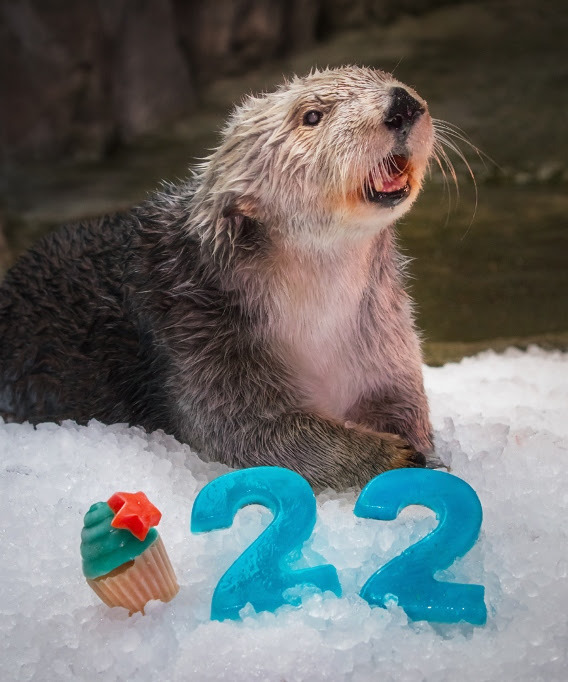 Charlie, one of the Aquarium’s original charter animals, turned twenty-two today and is now the second southern sea otter on record to ever reach that age. Aquarium biologists presented him with an edible seafood cake for his birthday. As a pup he was stranded, rescued, and deemed non-releasable to the wild before arriving at the Aquarium. He is the oldest southern sea otter living at any aquarium or zoo, earning him a feature in the Guinness Book of World Records: Wild Things edition released in 2018. “Charlie is nearly double the average life span of a wild southern sea otter. Although he doesn’t get around like he used to, he is enjoying life and we are appreciating every day he is with us,” said Brett Long, curator of birds and mammals. Guests were invited to wear birthday hats and sing Happy Birthday to Charlie as he enjoyed his favorite foods, treats, and gifts. As a charter animal, Charlie the southern sea otter has been with the Aquarium since it first opened. Charlie was orphaned during the fierce El Niño storms of 1997. He came from a sea otter rescue program when animal experts determined that he could not survive on his own in the wild and needed a home. Southern sea otters reside along the coast of Northern California from just south of San Francisco to the central California coast. They are critical to the kelp forest ecosystem, feeding on the urchins that feast on the kelp. California’s southern sea otters are listed as threatened under the Endangered Species Act. Hunting in the eighteenth and nineteenth centuries nearly wiped out the entire population, and by 1938 only fifty remained. Conservation efforts have grown the population to nearly 3,000, but these animals still face threats, including ocean pollution and habitat loss. In addition to his role as an animal ambassador living at the Aquarium, Charlie has also contributed to scientific research. From 2011 to 2013 he participated in a study of how sea otters perceive sound at the University of California, Santa Cruz’s Long Marine Lab. The study’s results could inform decisions made by government agencies regarding ocean noise. Charlie was selected for the study in part because of the behavioral training he had received at the Aquarium. To participate, Charlie learned to enter a specialized acoustic testing environment, listen for sound signals, and respond to the researchers, notifying them whether or not he had heard the sound by touching his nose to a target or remaining still. The nonprofit Aquarium of the Pacific is a community gathering place where diverse cultures and the arts are celebrated and where important challenges facing our planet are explored by scientists, policymakers, and stakeholders in search of sustainable solutions. The Aquarium is dedicated to conserving and building nature and nature’s services by building the interactions between and among peoples. Home to more than 11,000 animals, Aquarium exhibits include the Ocean Science Center, Molina Animal Care Center, and the newTentacles and Ink and FROGS: Dazzling & Disappearing exhibits. Beyond its animal exhibits, the Aquarium offers educational programs for people of all ages, from hands-on activities to lectures by leading scientists. Field trips for schoolchildren are offered at a heavily discounted rate from $7 to $8.50 per student. The Aquarium has won a 2015 Travelers’ Choice Award for Aquariums, as awarded by TripAdvisor® travelers. The Aquarium offers memberships with unlimited FREE admission for 12 months, VIP Entrance, and other special benefits. Credit: Aquarium of the Pacific.